The average roof costs over $20,000 to replace. And most roofs need to be replaced after 15 to 20 years. So when you’re buying a new home, it’s important to make sure the roof is in great condition. Or else you’ll find yourself looking at a large room replacement bill. This is where a home inspector comes in. 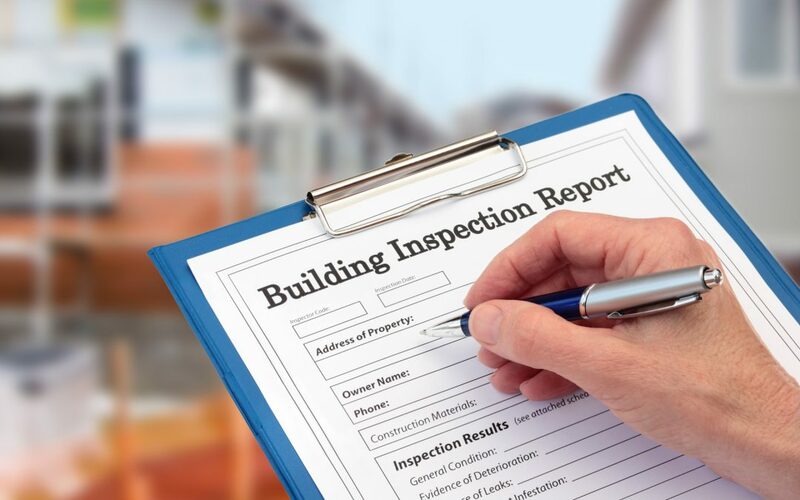 You have your home inspection on the books, but what exactly will it cover? When it comes to roof problems, here’s what your home inspector will look for. One of the first things looked for during a roof inspection are clogged gutters. If the inspector finds clogged gutters, they will search for the root of the problem. If the gutters are full of leaves and limbs, then it’s likely they just haven’t been cleaned properly in a while. But, if there are pieces of your shingles or granules clogging the gutter, this is a bad sign. This means that the roof shingles are deteriorating and falling apart. Deterioration is a sign of old age and foreshadows a roof replacement in the near future. Sagging roof decks are a sign of a bigger, underlying roof issue. The home inspector will look at the natural slope of the roof. If there are areas that are sagging or sunken, this means the roof doesn’t have proper support. This issue is possibly caused by much weight on the roof, such as snow and ice. Other causes include improper structural design or failure of the support system. If a roof is sagging, a contractor needs to remedy the framing inside the home. Often times, the sagging can cause damage to your roof itself, which will either need to be repaired or replaced. More isn’t always better when it comes to roof shingles. In fact, two or more layers of shingles is a bad sign. To save money, homeowners sometimes add a new layer on top of old or damaged shingles. While this does solve the immediate problem, it’s a sign that a roof replacement is in the future. Since the old layer is just covered up and ignored, any original rotting or deterioration issues are not addressed. This means those issues are still existing and need to be repaired as soon as possible. On top of that, another layer of shingles adds more weight to your roof. And as we now know, more weight leads to sagging roofs. To make matters even worse, there are more labor costs involved with removing two layers of shingles instead of just one. So never take the cheap way out by just adding a layer of shingles instead of fixing damages. Speaking of roof shingles, your inspector will check your whole roof for damaged shingles. Damaged shingles appear in many different ways. A home inspector looks for curled, cracked, or completely missing shingles. Most of this damage happens naturally with age and are a sign that a roof replacement is needed. If only a few shingles are damaged, they can be repaired temporarily. Weather damage is often unavoidable, but it’s something your roof inspector will be on the lookout for. High winds and hail are the most damaging weather occurrences for a roof. High winds can take shingles right off of your roof, or at the very least crack them. Hail can also damage your shingles depending on how large the hail is. Less dangerous are heavy rains and snowfall, but even these can cause minor damage. If the original homeowner doesn’t address damage directly after the weather event, the damage can quickly spread. This leaves a slew of problems for you as the next homeowner. Not all roof issues will be seen from the exterior of the home. Indoor moisture or leaks are a sign of roof damage. If you have damaged or missing shingles, water can easily find a way into your home. Most times, you’ll notice an active leak. But a slow leak is often harder to locate with watermarks slowly appearing. Moisture and leaks can lead to mold growth, which is more than just a roof problem. Mold can lead to a large number of health issues, including respiratory complications and skin irritation. Read this article to learn about the signs that show your home has mold. One of the last things a roof inspector will look for is algae growth. An inspector looks for any sign of algae or moss growing on your roof shingles. This is often a sign that water is collecting in a certain area of your roof, which is a side effect of a sagging roof. Or, the presence of moss is a sign of rotting underneath your shingles. Cleaning the algae and moss away is only a temporary fix. The growth will return if you don’t fix the underlying issue. While sometimes this is as easy as replacing a few shingles, other times you may need a whole roof replacement. Either way, always be on the lookout for any green growth on your roof. A home inspector is great for discovering roof problems that can cause a headache and an unexpected bill. But roof problems aren’t the only thing that home inspectors look out for. They also look for problems with your foundation, electric, and pest infestations. Check out this article to learn about everything a home inspector looks out for. Are you in need of a home inspector in the northern Ohio area? If so, contact Class Home Inspection today to schedule an inspection.